Members & guests—$27 (Includes processing fees). To register, please click here or call the Village office at 773.248.8700. The Village is excited to offer members and guests the opportunity to attend this Chicago Humanities Festival program with ‘ultimate Obama insider,’ Valerie Jarrett, the longest serving senior adviser in the Obama White House. Now in her new memoir, Finding My Voice, Jarrett shares her journey and other roles: as a daughter, mother, lawyer, business leader, and public servant. 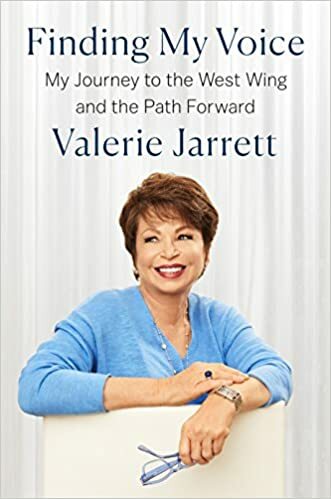 From her work advancing civil rights to some of the real stories behind stirring moments in the Obama presidency, Jarrett brings her forthright, optimistic perspective to the importance of leadership and the responsibilities of citizenship in the twenty-first century. CNN Reporter Laura Jarrett joins her mother for a revealing, candid conversation, moderated by Tina Tchen, former Chief of Staff to First Lady Michelle Obama, examining Jarrett’s influence and the nature of trust as a component of political power itself. This program will have open captions, and assisted listening devices available upon request. Copies of Finding My Voice will be available for purchase at the event, and attendees may have them signed upon purchase.